I was motivated this morning and got going at 6:40am. It didn’t rain last night, but I was in a cloud and everything was fairly damp. The humidity was high and it was going to be another hot one. 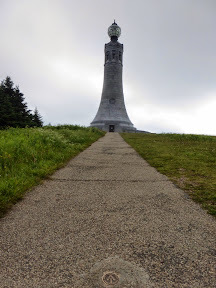 I was headed to Mt Greylock, the highest point in Massachusetts at 3,491ft. Then I had some nice downhill miles to get me to town to see my special guest! 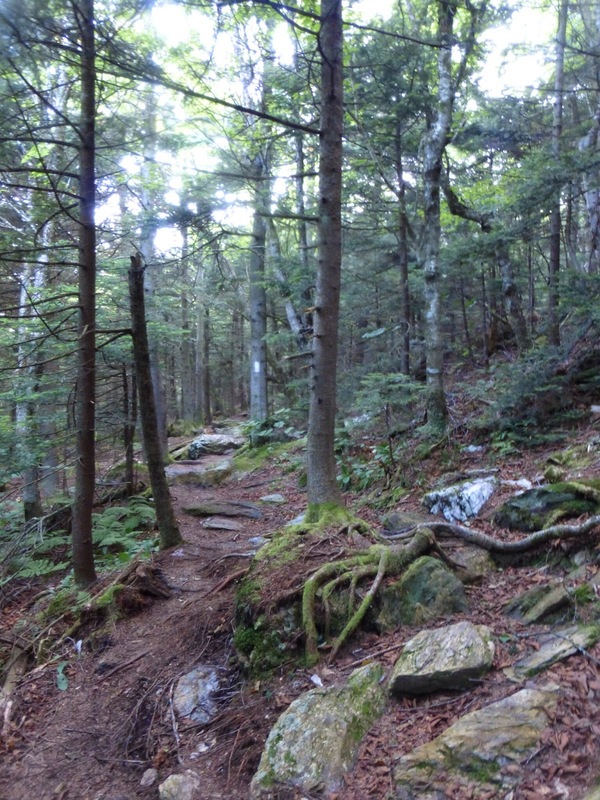 There was still a bit of climbing to do to reach the Greylock Summit, but the trail was nice. At the top is a nice lodge and a tower that is a veteran’s memorial that is closed for renovations. It was impressive in how it loomed high and prominent. With the clouds, I didn’t get to see the full view, but I was able to see a bit. Go figure, I finally get to a major viewpoint and it’s too foggy to see all of it. At least I got to see something. Yankee totally spoiled me with treats, ice cold water(it was sooo HOT! ), and Mountain Houses for the rest of my leg. I am especially pumped about the dinners because I haven’t gotten my own resupply box with Mountain Houses the last two legs and I miss them dearly! I skipped a town awhile back and bounced that box forward. There was a mix up and it missed my last two towns. All should be right the rest of the trip though. It was a great break from the trail and good motivation to have Yankee come visit. Plus, I knew everyone who has followed all my hikes would have fun seeing Yankee. Doesn’t he look great!? He is retired and still really into hunting, fishing, and house projects. The PCT was his one and only thru hike and he rocked it! 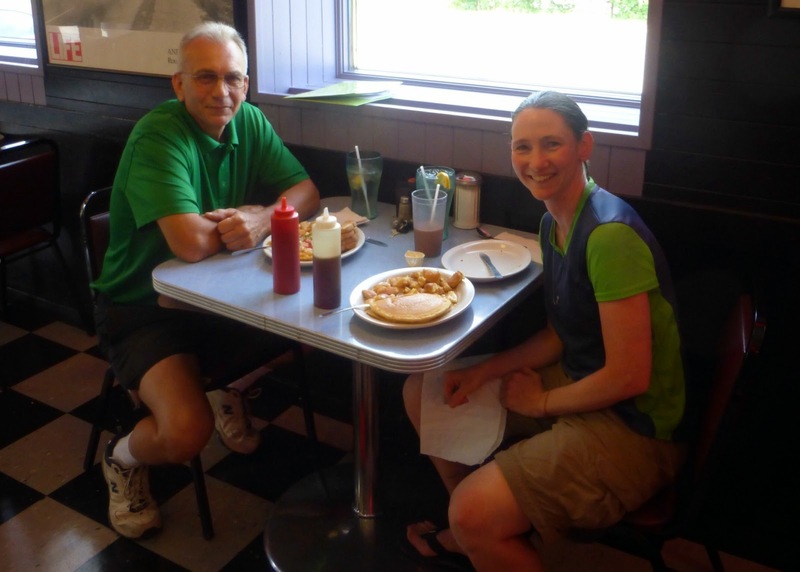 THANKS so much for coming to visit Yankee! When I got back on trail, it was really humid and in the upper 80s, but clouds were gathering to hopefully cool it off a bit. 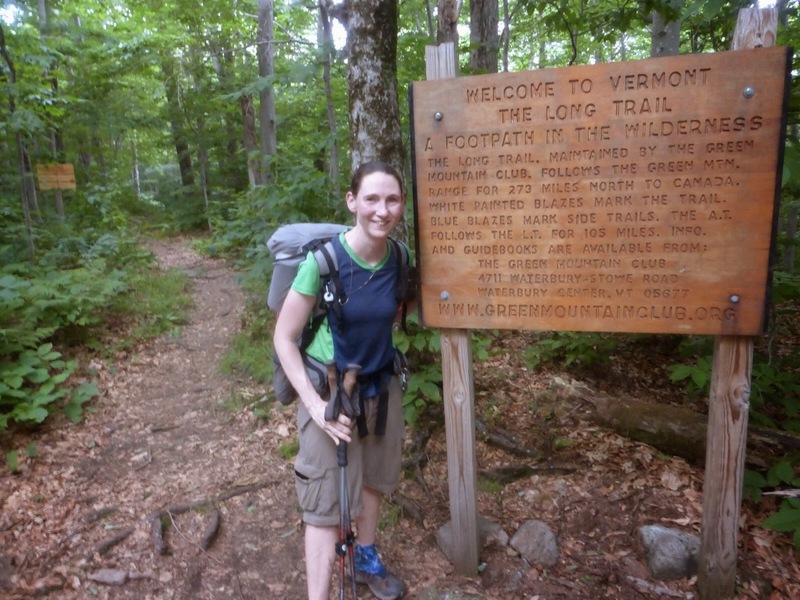 I had many miles of uphill and four miles I was excited to reach the Vermont border and the beginning of the Long Trail. 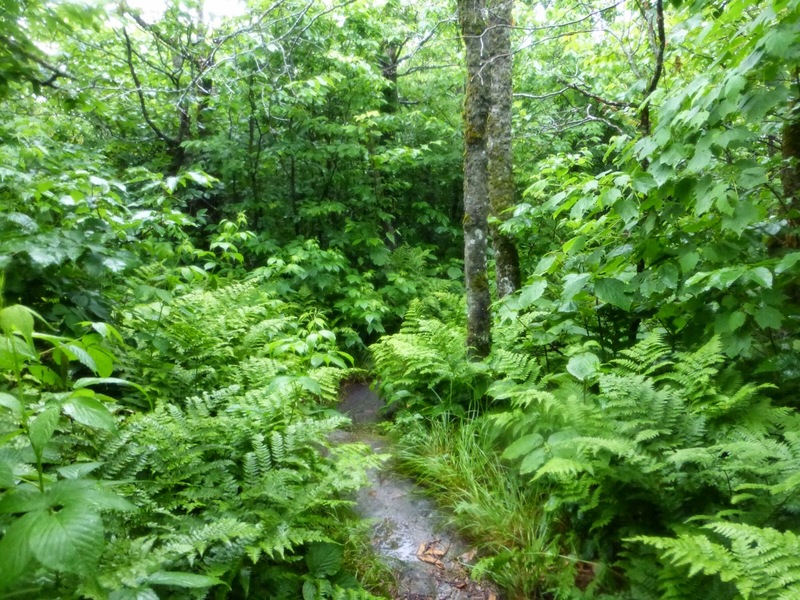 I crossed paths with a section hiker just as we approached the border and he took a quick photo for me as rain started to fall steadily. 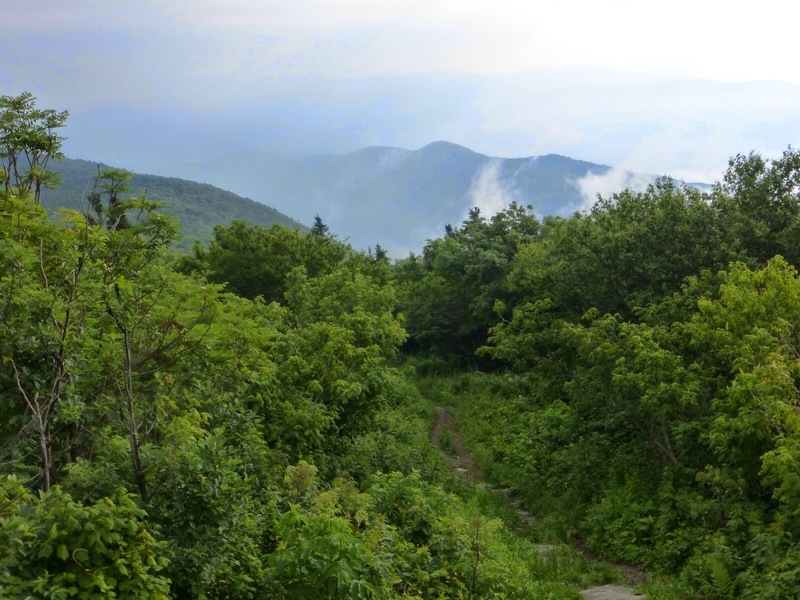 The Long Trail runs the length of Vermont along the rugged Green Mtns and ends at the Canadian border. 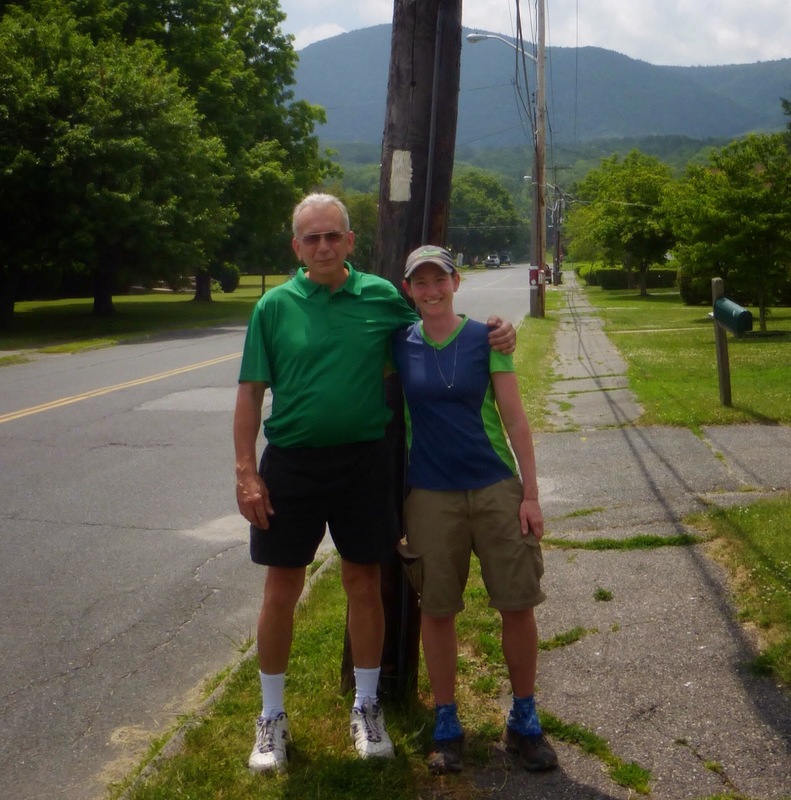 It is America’s first long distance trail. The AT and LT overlap for the first 105mi of the LT and my plan is to return to where they split right after I finish the AT so that I can then hike the remaining 168mi. It was not the best start to Vermont with the immediate rain that was actually a loud thunderstorm. I put up my umbrella and trudged on. The trail was quite muddy and brushy. Yes, there was one slip I’m glad no one was there to see that involved me basically sitting in thick mud. 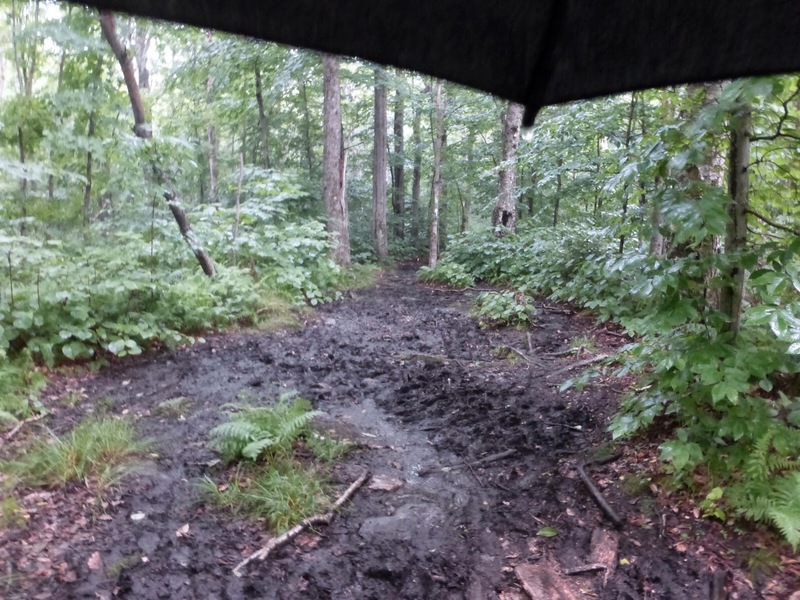 Good thing it was raining as the mud easily washed off. The rain, thunder, and lightning was fairly strong for almost an hour. 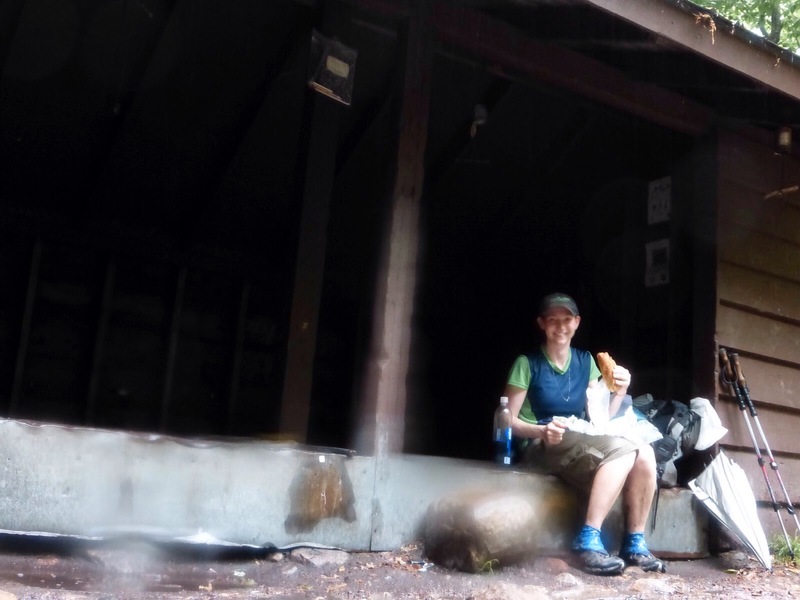 As it tapered off to light rain, I stopped off at a shelter to eat my Subway sandwich. Again, it’s sad when the best part of my days lately have been town and food. Propped the camera up in a bit of rain for this picture. 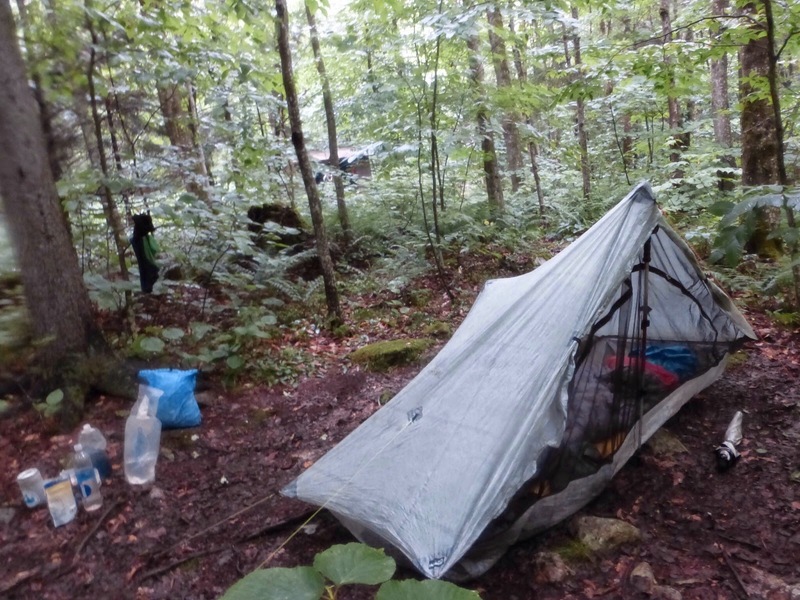 It was 3pm and the section hiker arrived to stay the night. 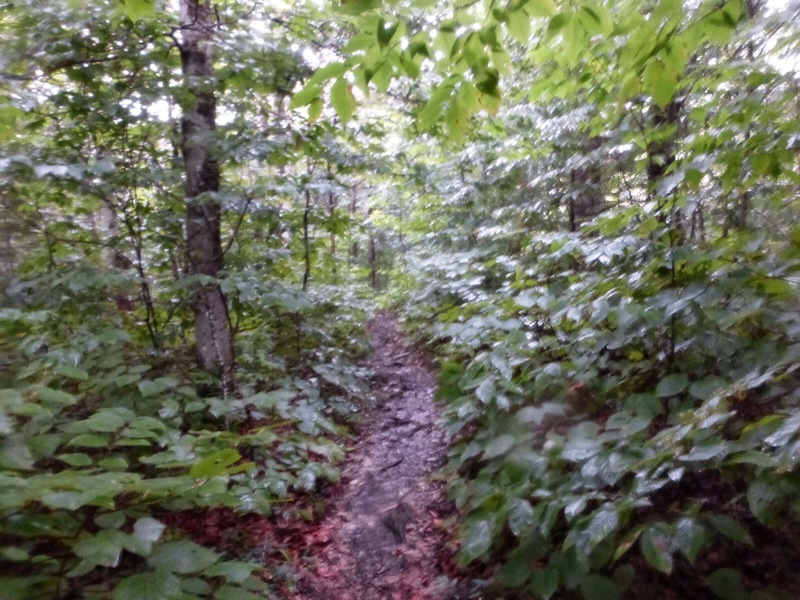 It was very tempting to call it and camp there, but today I actually enjoyed the discomfort of chilled rain to the heat and humidity, so I decided to hike on. 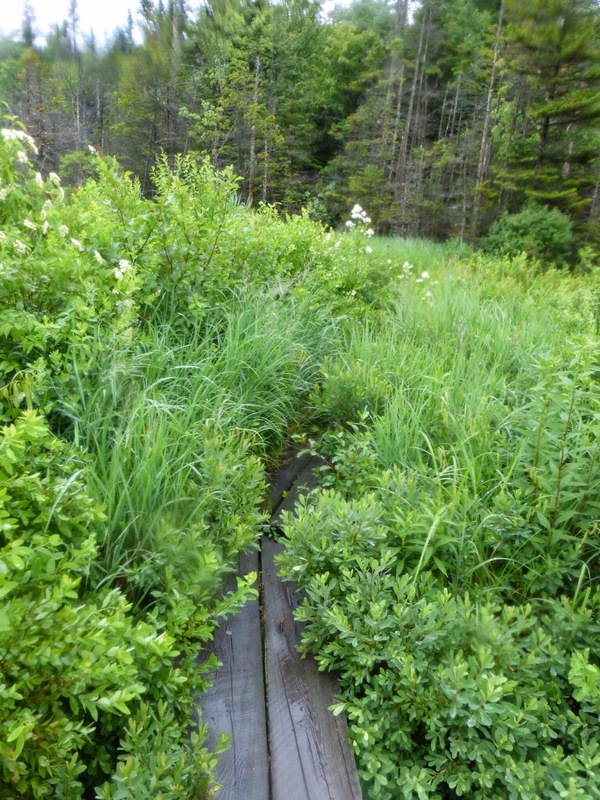 So far, I’d say the Long Trail is very brushy. I got very claustrophobic and did not like all the wet brush constantly rubbing on me like a car wash. I ended up hiking until 6:30pm to the next shelter where I chose to camp. The shelter is full with Long Trail hikers and two thru hikers I hadn’t met. 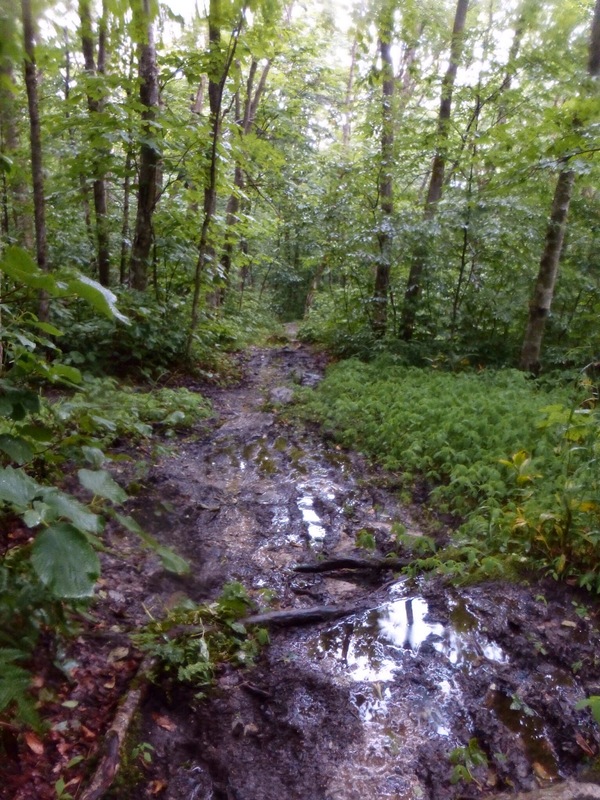 There is a large creek running just below the shelter and campsites so I hope to sleep really well. Possible storms, and maybe strong ones, are expected tonight and through the day tomorrow. Since the rain started after I had drenched my clothes in sweat, all of my clothes are completely wet and relatively cold. Not looking forward to putting them back on tomorrow morning. I’ve been carrying my wool pjs for occasions just like this as I get chilled by rain very easily. It is much cooler and I’m comfortably my wool pjs. Totally worth carrying! It was quite a day, whew!